Combining a 5" AMOLED and a 4.7" E-ink screen, Yota Devices' second dual-screen smartphone has been one of the more highly anticipated mobile devices ever since it was first unveiled in February of this year. And now it seems the Yotaphone 2 is about to arrive. 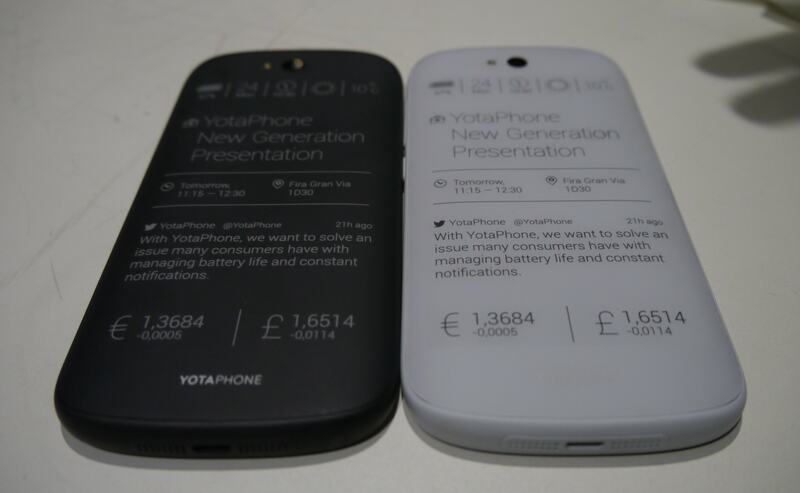 Numerous blogs in Europe, including Android Planet, are reporting that the new Yotaphone showed up on a Dutch retail website with a price tag of 699 euros and an expected ship date of 11 December. That listing is no longer visible, so I cannot confirm the accuracy of the report or whether the Dutch retailer was just making it up, but given the response I got from Yota Devices I tend to think this report has a moderately high probability of being true. Yota Devices said that they could not confirm the reports, a response which is far enough from a denial to make me think the story is true. And then they asked me if I wanted an invite to the launch events this week. The events are being held in London and Moscow, so they are way outside my reach, but I think it is reasonable to take them as further confirmation of the leaked details. Update: I now have a copy of the invite. Apparently the phrase "this week" was a misnomer; the new Yotaphone will launch on Wednesday, 3 December, at the Old Truman Brewery in London. As reported in February, the Yotaphone will run Android 4.4 KitKat on a quad-core 2.3GHz SnapDragon 800 CPU with 2GB RAM, 32GB Flash storage, a pair of cameras (8MP and 2MP), and support for Wifi, Bluetooth, and GSM and HSDPA cell networks. At this point we don't know whether the specs have changed (it could be running Android 5.0 Lollipop, for example), but at that time the 5" AMOLED display had a screen resolution of 1920 x 1080, while the 4.7" E-ink screen had a resolution of 960 x 540. Those are slightly larger screens than the ones found on the original Yotaphone, which shipped last December with a retail price of 499 euros. The original Yotaphone featured a 4.7" LCD display and a 4.3" E-ink display in a slab style case with a distinctly rectangular shape. 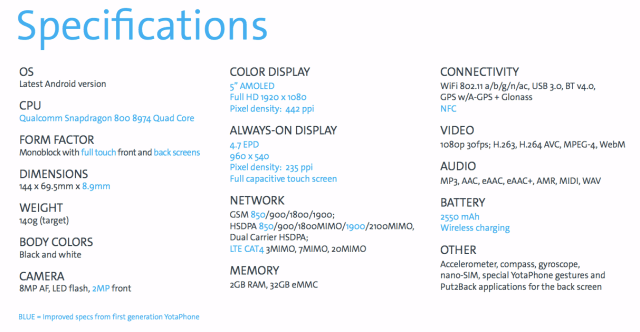 That phone is available in Europe, including Russia and the UK. 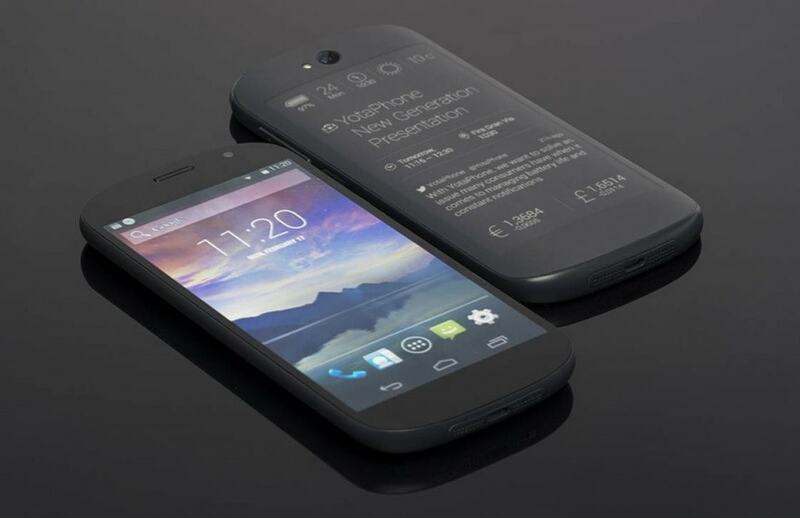 The new Yotaphone will probably launch in Europe this week, and ship next month. So when sales start in Russia?